I made stockings for my two boys this year and I wanted to decorate them with something special that they would really like. My older son is really into houses. You know windows, doors, a roof, he loves them all. Some kids love cars or trains, he loves houses. We bought him a lego set that came with three doors. He slept with those doors for at least a week. So I thought what could be better than a gingerbread house? 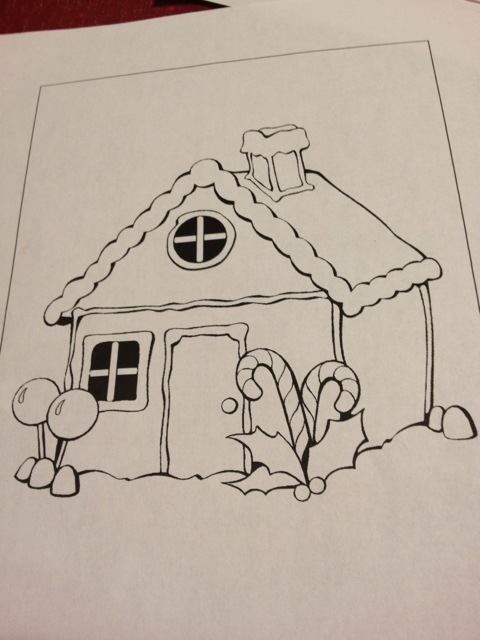 To make the gingerbread house stocking I first found a picture of a gingerbread house to copy. I cut the house out as a pattern to cut my tan felt for the house shape. Then I made my candy and frosting out of different colors of felt. 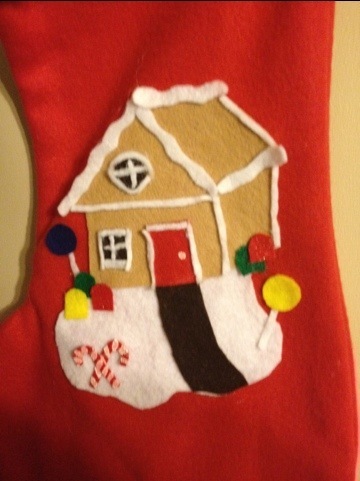 When I was finished cutting I laid my pieces out and glued them onto the stocking with fabric glue. Then left it overnight to dry. The whole project took me about an hour. Which was well worth the time. 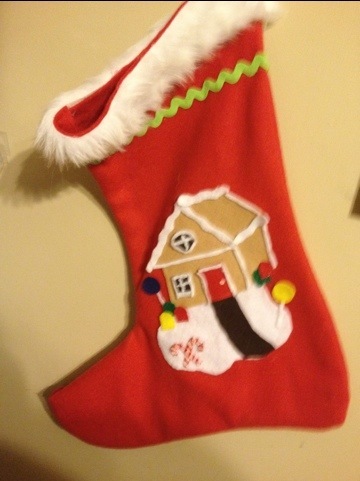 My son was so excited in the morning to see his stocking “so perfect” for the holidays.